The Y @ Cascade People’s Center was awarded the Neighborhood and Community Arts award from the City of Seattle Office of Arts and Cultural Affairs. 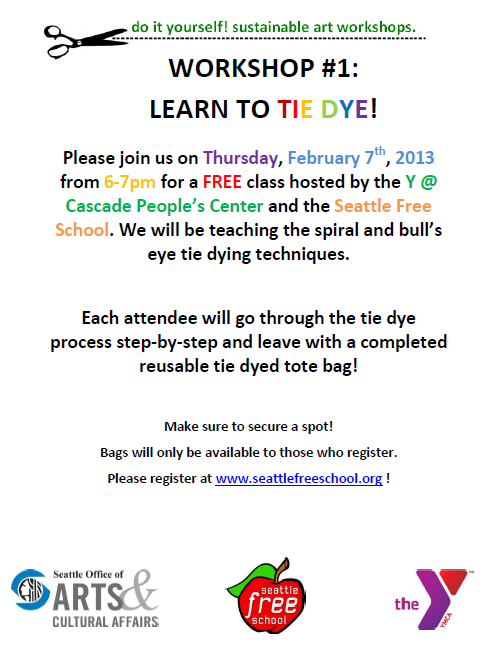 We will be hosting a series of Eco-Conscious, Do-It-Yourself workshops! Stay tuned for more announcements on this blog!